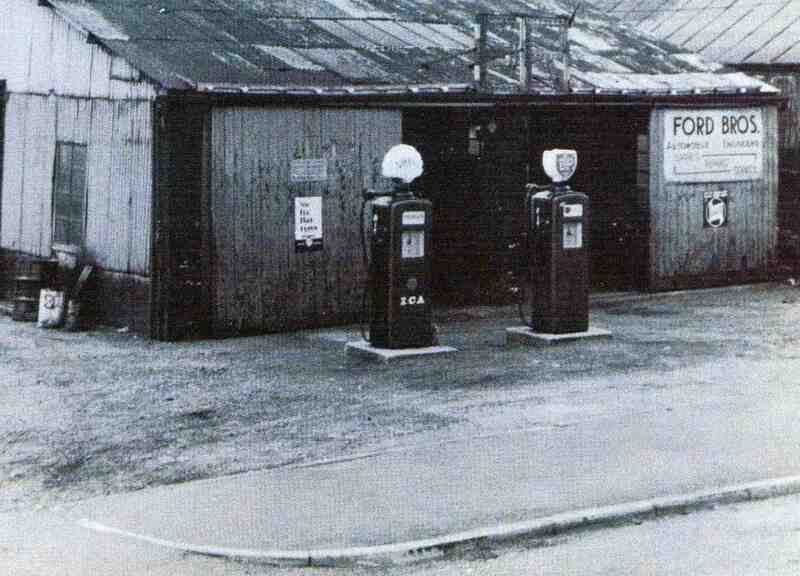 Ford Brother Garage, Sheffield Road. Photo courtesy of Mrs A Staples. I can remember Arnold’s garage. His wife (Sarah) taught needlework in the village and his sister (Mrs O’Connell) owned the haberdashery shop in Bridge Street. Arnold’s brother, Ernest, married my mother’s sister, Lilian Goodwin. I spent happy hours with Arnold Ford & Albert Thompson in this garage. Then we would go for a pint at the Bootmakers in Spinkhill & they would sing to all the ladies going home. The song – “Goodnight Ladies.” Fantastic times. No drink driving problems in those days! Yeah, I remember that. I went in there and asked Mr Ford for a badge. He gave me a lapel badge with the word “Castrol” on it. That was great for a boy of 7 or 8.